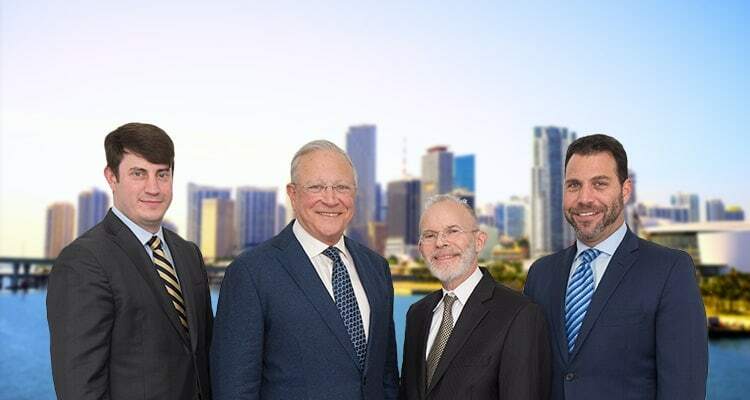 Florida Maritime Lawyer | Miami Admiralty Accident Attorneys Gerson & Schwartz, P.A. Contact Fort Lauderdale Admiralty Accident Attorney Gerson & Schwartz, P.A. Gerson & Schwartz, PA specializes in handling a variety of admiralty and maritime accident cases. Our attorneys have experience at bringing a wide range of serious injury and wrongful death claims on behalf of clients across the nation and internationally. All of our maritime lawyers possess extensive court room experience at both the state and federal levels. Our legal team focuses on representing seriously injured cruise ship passengers, as well as crew members, and many other traditional maritime workers and their families. If you or a loved one have been injured in an accident while working or aboard a seagoing vessel, or on any inland, coastal, or navigable waterway, you should contact an attorney with experience in maritime and admiralty accident cases. Maritime laws are vastly different from typical personal injury laws and is complex and unique in many ways. Different rules apply that may limit the time you have to file a claim, legal liability and the amount of money injury victims may recover. Maritime law is based on a combination of several different bodies of law ranging from federal statutes, international treaties, laws of contract, and in some cases substantive foreign law. All of these may operate to limit both liability and the types of damages injured parties may bring. Many people are not even aware that maritime laws may govern their accident. Therefore, anyone seriously injured in a maritime accident should contact a qualified Florida maritime attorney, as soon as possible. One example of how maritime laws differ from general state laws pertains to instances where a death occurs within the navigable waters of a state. Here, state law applies. However, if, the death occurs more than three nautical miles offshore, a federal law called "Death on the High Seas Act" (DOHSA) will govern the matter instead. The Death on the High Seas Act (DOHSA) is a federal statute which was enacted by Congress in 1920. It states that only the personal representative of a deceased person may bring a claim on behalf of the decedents surviving relatives such as spouse, children, and family members who were financial dependents of the decedent at the time of death. In other words, spouses, children, parents or any other relatives who depended on the deceased for financial support are barred from bringing a claim on their own behalf. These specific actions, in accordance with DOHSA allow solely for monetary damages for economic losses. As a result, spouses, and children may not recover for their non-economic damages, such as pain and suffering, emotional harm, or loss of consortium under DOSHA. Do not hesitate to contact the maritime lawyers of Gerson & Schwartz to handle the complexities related to DOHSA. Other aspects unique to maritime laws are based on laws of contract. 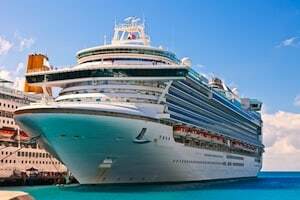 For instance, specific contractual limitations are usually apply when filing personal injury claims under cruise ship passenger ticket contracts. Many cruise ship companies insert provisions in specific language in their agreements requiring passengers to file lawsuits in foreign jurisdictions located in Florida. Many passengers don’t realize this until after an accident has occurred. These efforts by the cruise ship industry are intended to act as deterrent to injured cruise ship passengers to file claims against them. Other common provisions attempt to disavow cruise ship liability for certain aspects of the trip, such as port-of-call excursions. Another example is found in crew member accident cases. Injured crew members also subject to these tricky contractual provisions. As is the case in cruise ship passenger injury case, crew members often and unknowingly “waive” certain rights to the traditional court system based on their employment contracts. Maritime workers may also contract away certain rights based on their collective bargaining agreements. In these instances, the injured maritime worker often must have their cases heard under an alternative dispute resolution process called “arbitration”. During arbitration, these cases are not required to be heard in court in front of a judge, nor a trial by jury. They can only be decided by an arbitrator usually under the American Association of Arbitration (AAA) or the International Dispute Resolution Center. The rules of arbitration are also highly complex. Since every accident at sea case is different, having a qualified maritime lawyer on your side is essential. The law that may apply to a maritime personal injury accident claim will depend on a number of facts, and other fine line distinctions in law, such as waivers, and/or the validity of various contractual provisions. Only a qualified maritime attorney in Florida can or should assist you with these matters. If you are an injured passenger, harbor worker, or crew member, it is important to know that you may be entitled to compensation for your losses. For help on these issues contact one of our Miami, Florida maritime attorneys at (877) 475-2905 for immediate assistance.